The average commute in the U.S. is now more than 26 minutes each way. That’s nearly 5 hours spent in the car each workweek. Between the high costs of gas and desire for more flexible scheduling, it’s no wonder more and more workers are looking to escape their cubicles in favor of remote work. In fact, about 1 in 4 people worldwide now work from home at least some of the time. And because of it, they enjoy benefits like no daily commute or expensive fill-ups at the pump. You can too. It just takes a little planning. After all, a work-from-home job search is a bit different than a traditional one. 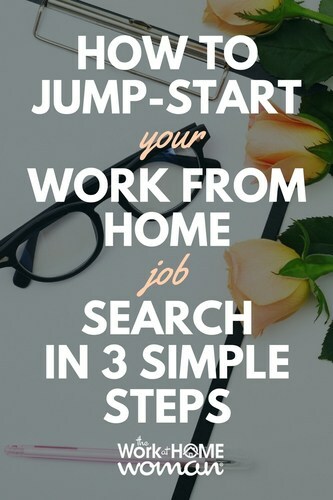 So, before you jump in and decide to ditch the drive in favor of working out of your home office, make a plan that’ll help you jump-start your work from home job search the right way. Step 1: What Kind Of Work From Home Job Is Right For You? Not all work-from-home jobs are created equally. And, chances are, one type of job will probably work better for your schedule, lifestyle, and needs than the others. But to figure out which one is best suited to you, you need first to understand what options are out there and what each entails. There are a lot of companies that hire employees to work from home. Just like an office job, you’ll be expected to be available during operating hours and maintain a set schedule. With this type of employment, you may work full-time or part-time and might even be benefits eligible. Employees are often not allowed to set their own schedules, work wherever they want, or come and go as they please. So, if you are looking for something that is flexible or allows you to have kids in your care while working, employee positions might not be the best fit for you. Freelancers sell services on a per-project or hourly basis. It’s up to you to decide which services you’ll sell as a freelancer. There is no right or wrong answer. Writing, design, virtual assisting, and development are popular options, but you can get creative with your offerings. For inspiration, check out in-demand freelance categories on Fiverr. As a freelancer, you’re in charge of finding your clients, negotiating pay rate, and managing all aspects of your work. Because you’ll be working for yourself, you get to set your schedule and have the freedom to come and go as you please. But remember, freelancers don’t receive benefits from an employer and are also in charge of keeping track of payments and taxes on money earned! If you’re a parent, caregiver, or currently working a 9-to-5, freelancing can provide the flexibility needed to work around your existing schedule. When you sign up as a seller for any number of direct sales companies, you’ll be in charge of marketing the company’s products and attracting customers. You’ll earn a commission on each sale you make and may even be able eligible for bonuses based on sales volume. Direct sales can allow you to work from home or, in some cases, outside of your home through in-person parties or pop-up shops. Direct sales opportunities are often flexible enough to allow you to work when and where you want. You may even be able to leverage your existing network to bring in your first sale! Through social media marketing and your own branded website (often provided by the direct sales company), you can even make sales 24/7, without having to take an order personally! Now that you know what kind of real work-from-home jobs are out there, it’s time to track down the right leads for you! Different sites often cater to a specific set of aspiring remote workers. Knowing which sites are your best bet based on the type of job you’re after can streamline the job search process. If you’re in the market for an employee position, consider searching sites like Remotive or We Work Remotely. FlexJobs is another great option, especially if you’re worried about scams. Although FlexJobs does have a subscription cost, you can rest assured that all leads posted here are 100% legitimate (they guarantee it!). Aspiring freelancers can quickly track down leads on one of the many freelance marketplace sites. Beginners may like to get started on a large platform, like Upwork, where you can bid on a variety of jobs posted by clients. If you have years of industry experience, consider joining a freelance community like CloudPeeps where you can grow your own business (with tons of support and advice) from freelancers, like you. If you decide to go the direct sales route, start researching the many direct sales companies out there. Ask friends or family members who may already be involved with a direct sales company for referrals. Check out forums that openly discuss direct sales companies for a better understanding of what it’s like to be in the business. But don’t sign on just yet! Before becoming a consultant, read reviews and understand the company’s culture and whether or not it’s a good fit for you. Now that you know the types of jobs out there, which one is best for you, and where to find legitimate leads, you’re almost ready to start applying! But before you fire up your computer, take a little time to prepare for the job search ahead. For employee positions, this means sprucing up your resume by making it keyword rich. If you’re on LinkedIn (if you’re not, you should be! ), start networking with existing contacts. You can also enable Open Candidates, so remote recruiters know you’re ready to be approached about new opportunities without your current employer knowing. And don’t forget to audit your existing online presence! A whopping 80% of recruiters will Google you before they invite you to an interview. Make sure you clean up your online footprint so they only find the best version of you that they’ll be eager to hire. You know that marketplace sites are a great place to find gigs. But you’ll still need to perfect your pitch if you want to land work. As a general rule, it’s best to keep pitches short and sweet, and always tailor it to the specific gig for which you’re applying. Remember, your pitch will be the thing that determines whether you will be awarded the job. You can also strike out on your own by creating a freelance service site. This site will act as your point of contact for potential clients and serve as a place to showcase your work. That way, when you warm email or cold pitch a client, you can send them to your personal freelance site to show them why you’re great at what you do (and why they should hire you!). Joining a direct sales company should be done with careful consideration. Remember, there will likely be an initial investment that can range from under $50 to several hundred dollars or more. 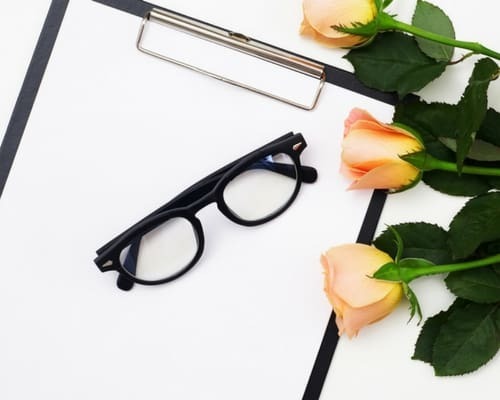 You may also have to sign a contract that specifies your duties as a consultant and whether you’re entitled to a refund should you find yourself unable to sell products. Always read the requirements carefully, so you know what you’re getting into before you start! Whether you want a full-time job with company-sponsored benefits, are eager to launch your own freelance service business, or want to try your hand at direct sales, you can make your job search easier and more efficient. A little planning and researching ahead of time can save you a lot of time, energy, and effort in the long run! And, when you take the time to pinpoint your ideal position and understand where to find the work, you’ll find it much easier to actually make progress in your job search and land the remote job that’s perfect for you.